BATANGAS — Anilao is often associated with diving activities because of its diverse marine life. However for hiking enthusiast, the town is the starting point of trekking the hills that traverse Calumpan Peninsula of Mabini, Batangas. 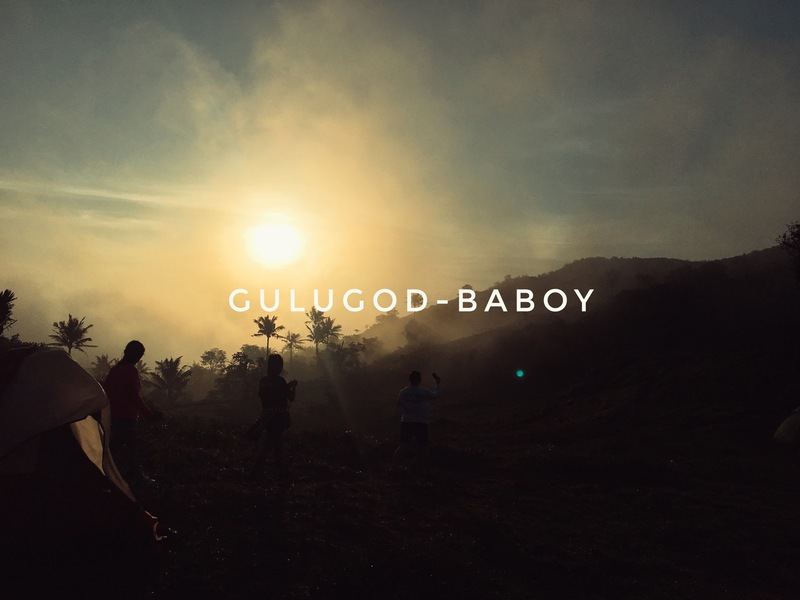 Rising at 525masl, Gulugod-Baboy is rated as Minor Climb by PinoyMountaineer with 2/9 difficulty and a trail class of 1-2. Given the rate, the only challenging part of the trail is the first cemented half of it. As a hiker myself, I find it challenging to walk on paved trail than dirt although its mostly shaded with trees so you don’t need to worry about heat exhaustion. My partner Jersey and I opted for night trek to avoid the hassle of tropical heat, however the tourism officer required us to hire our guide to assist our ascend. Fortunately we’ve met the group of Bryan who agreed on trekking with us (and share the cost of guide fee). So we began our trek as a group of five than two. Campsite where some of the tents didn’t withstand the evening gust of coastal wind. In some parts of the trail, the houses will serve as resting areas where locals would gladly welcome you. It also serve as your marker on how far you’ve already trekked. The campsite is marked as two houses away from the last section of the cemented road. The hills of Gulugod-Baboy is an open grassland where gust of cool winds coming from the coast blew the area. And it’s advisable that you avoid using dome-type tents as it easily breaks in this kind of weather condition, like what happen to Bryan’s. Bring your jacket and pants for you to comfortably handle the cold evening. Also, it would be helpful to bring a mat or groundsheet under your tent as the campsite is littered with stones and deep-rooted branches. The next day, the entire campsite is still blanketed with thick fog with gusting winds so Jersey and I decided to have a mug of hot chocolate before assaulting the summit and hoping that the fog would ease and provide us a good clearing. Unfortunately by 6 o’clock the condition remained the same but it draws a new beautiful scenery that we fondly enjoy. After enjoying the scenery and our time in Gulugod-Baboy, we descend and went straight to Philpan Dive Resort for the much needed shower. The heat is already picking up as early as 11 in the morning that day so we head to our next destination–Historic town of Taal and had a tour around the area with our friend and also ViajeroMNL contributor, Mike. Basilica of St. Martin de Tours, the largest catholic church in Asia. The coral stone arch that stands on top of the 11ft deep miraculous well of Sta. Lucia. Board a bus bound to Batangas Pier/Batangas Grand Terminal from Cubao or Pasay, then alight at the Grand Terminal. Board a jeepney bound to Mabini then alight at the Crossing, where you can take hire a tricycle that will take you straight to the registration area/jumpoff. Next Post #TGIF: Ayuntamiento de Manila is now open to the public!